Halogen Headlight bulbs come standard on most Dodge Challengers. This guide shows you how to replace them bulbs when you need to. It's worth noting that some Challenger trim levels came with HID headlights. This guide does not cover replacing those bulbs (though it probably will help if you're upgrading to HIDs). The 2009-2014 Challengers used a different headlight housing then the 2015+. This means they use different bulbs, the back of the housings look a little different, and the harness connector is different. It's worth noting, we used a 2015 Dodge Challenger R/T to make this article. Pull the hood release lever to pop the hood open. 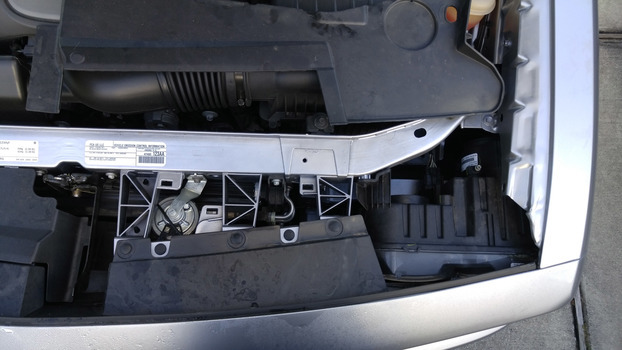 It's located on the driver's side of the dash just above the parking brake pedal. 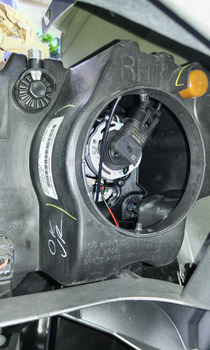 To open the hood, locate the hood latch at the front and center of the now popped hood. Pressing it to the side will unlatch the safely and allow you to open the hood fully. The panels in front of the engine bay will help you see what you're doing. Just set the panel aside. This is only needed if you're changing the driver's side bulb. 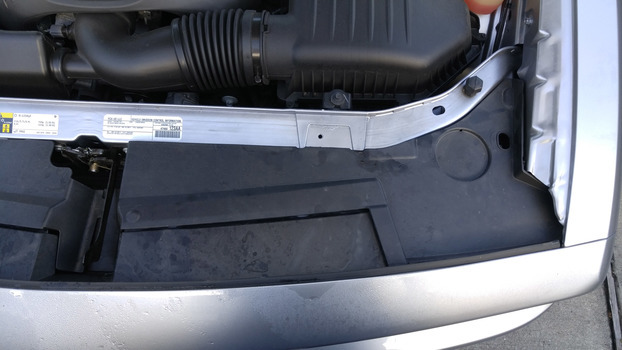 It's impossible to reach with the air box in place, but it's easy enough to remove. 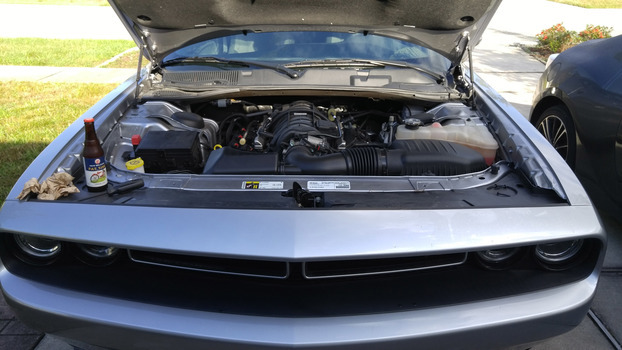 Our Challenger Air Filter Replacement article should help you out a bit. 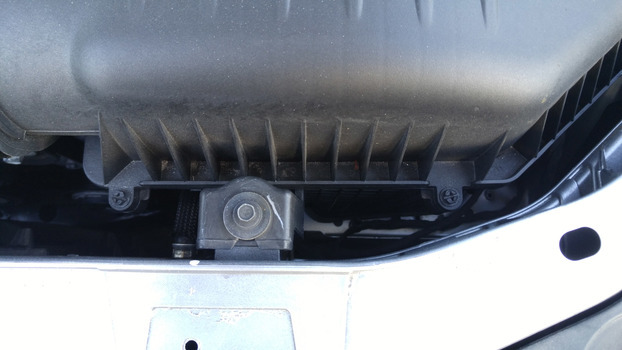 On our 2015 Challenger, each headlight bulb has a screw-on cap on the back. Unscrew it by hand (lefty-loosey). Earlier model Challengers don't have this cap, the bulb is accessible without removing anything else. The bulb turns counter-clockwise to remove. It'll only turn about 1/4 turn, then it should pull out of the housing. 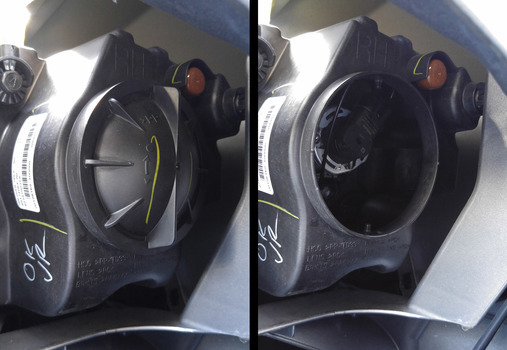 On the 2015+ cars, these are fairly difficult to reach, as the bulb is pretty deep inside the housing. Disconnect the wire harness from the bulb. 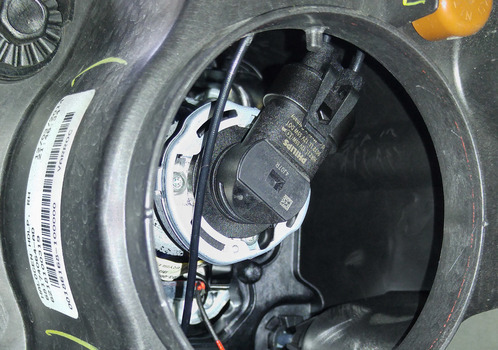 The pre-2015 cars use a red clip on the connector that needs to slide out slightly to unlock the connector. Slide it back, and depress the small tab to remove the bulb. On 2015+ cars use a pretty common clip you can see below. Clip the new headlight bulb into the harness. Install the bulb by sliding it into the housing and lock in place by rotating clockwise. The bulb will only go in one way (note the tabs around the bulb). Use caution to NOT TOUCH THE BULB GLASS with your bare hands. The oils on your skin can shorten the life of the bulb. Make sure the new bulb works by turning the headlights on. Re-install the plastic cap on the back of the housing - Just screw it on hand tight. If you removed the Intake Air Box, re-install it now. Re-set the plastic trim panel at the top of the engine bay. Slide the outer edge clips into the fender first, then press all the clips in. Make sure the center overlaps correctly with the panel from the opposite side. My 2015 RT Plus has HID bulbs. I don't get why yours did not.